"May the fire of God’s love descend to fill your hearts, unite you ever more fully to the Lord and his Church, and send you forth, a new generation of apostles, to bring the world to Christ!" "Being 'baptized' in the one Spirit (1 Corinthians 12:13) means being set on fire with the love of God." The Bishops of the United States explained what this is in "Grace for the New Springtime." "As experienced in the Catholic Charismatic Renewal baptism in the Holy Spirit makes Jesus Christ known and loved as Lord and Savior, establishes or reestablishes an immediacy of relationship with all those persons of the Trinity, and through inner transformation affects the whole of the Christian's life. There is new life and a new conscious awareness of God's power and presence. It is a grace experience which touches every dimension of the Church's life: worship, preaching, teaching, ministry, evangelism, prayer and spirituality, service and community. 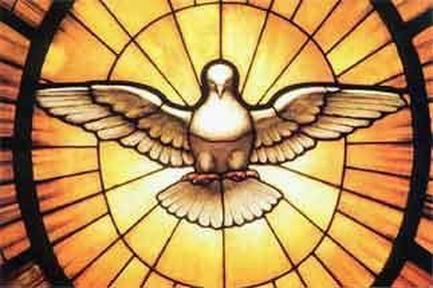 Because of this, it is our conviction that baptism in the Holy Spirit, understood as the reawakening in Christian experience of the presence and action of the Holy Spirit given in Christian initiation, and manifested in a broad range of charisms, including those closely associated with the Catholic Charismatic Renewal, is part of the normal Christian life. We want also to encourage those in the Renewal to continue to bring an awareness of the Holy Spirit and the gifts of the Spirit to the Church; to foster balanced devotion to Mary; to teach and grow in the discernment of spiritual experiences and to continue in faithful cooperation with the mission and the vision of the local Church in which they serve. By its shared life, the Renewal can be an example and fostering agent of small Christian communities in the Church. Through the Cross and the "embrace of the paschal mystery" (Called and Gifted for the Third Millennium, p. 24), the Renewal can deepen "life in the Spirit." We encourage leaders in the Catholic Charismatic Renewal to work to bring the various streams of this Renewal into cooperate unity." Listen to a talk to learn more about the Holy Spirit and His gifts. The Holy Spirit desires close friendship with everyone, so any Christian can pray for the Baptism in the Holy Spirit. Non-Christians interested in this should realize this is more of a relationship than a phenomena, so they should first get to know Jesus Christ before seeking His gifts which includes Baptism in the Holy Spirit. Jesus is calling everyone to know Him and be filled with His Spirit. St. John of the Cross described God's generosity saying, "the Father of lights (James 1:17), who is not closefisted but diffuses himself abundantly as the sun does its rays, without being a respecter of persons (Acts 10:34), wherever there is room - always showing Himself gladly along the highways and byways - does not hesitate or consider it of little import to find His delights with the children of the earth at a common table in the world (Proverbs 8:31)." The Holy Spirit; it is He Who drives away dryness from the soul, maintains and increases its love of the Bridegroom — that He may establish in it the practice of virtue, and all this to the end that the Son of God, its Bridegroom, may rejoice and delight in it more and more, for its only aim is to please the Beloved. The Holy Spirit, Who awakens love; for when this divine Breath breathes on the soul, it so inflames and refreshes it, so quickens the will, and stirs up the desires, which were before low and asleep as to the love of God, that we may well say of it that it quickens the love between Him and the soul. The prayer of the soul to the Holy Spirit is thus expressed, “Blow through my garden.” This garden is the soul itself. ... the flowers of virtue which are in it give forth the wine of sweetness, ... the flowers of perfection and the virtues are planted in it, flourish, and grow. The expression is “blow through my garden,” not blow in it. There is a great difference between God’s breathing into the soul and through it. To breathe into the soul is to infuse into it graces, gifts, and virtues; to breathe through it is, on the part of God, to touch and move its virtues and perfections now possessed, renewing them and stirring them in such a way that they send forth their marvelous fragrance and sweetness. Thus aromatic spices, when shaken or touched, give forth the abundant odors which are not otherwise so distinctly perceived. The soul is not always in the conscious fruition of its acquired and infused virtues, because, in this life, they are like flowers in seed, or in bud, or like aromatic spices covered over, the perfume of which is not perceived till they are exposed and shaken. 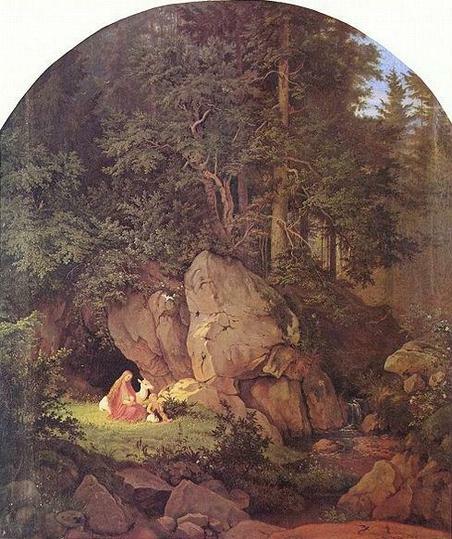 But God sometimes is so merciful to the bride-soul, as — the Holy Spirit breathing meanwhile through the flourishing garden — to open these buds of virtue and expose the aromatic herbs of the soul’s gifts, perfections, and riches, to manifest to it its interior treasures and to reveal to it all its beauty. It is then marvelous to behold, and sweet to feel, the abundance of the gifts now revealed in the soul, and the beauty of the flowers of virtue now flourishing in it. No language can describe the fragrance which every one of them diffuses, each according to its kind. While the Holy Spirit is breathing through the garden — this is His visitation of the soul — the Bridegroom Son of God communicates Himself to it in a profound way, enamored of it. It is for this that He sends the Holy Spirit before Him — as He sent the Apostles (Luke 22:8) — to make ready the chamber of the soul His bride, comforting it with delight, setting its garden in order, opening its flowers, revealing its gifts, and adorning it with the tapestry of graces. The bride-soul longs for this with all its might, and therefore bids the north wind not to blow, and invokes the south wind to blow through the garden, because she gains much here at once. The bride now gains the fruition of all her virtues in their sweetest exercise. She gains the fruition of her Beloved in them, because it is through them that He converses with her in most intimate love, and grants her favors greater than any of the past. She gains, too, that her Beloved delights more in her because of the actual exercise of virtue, which is what pleases her most, namely, that her Beloved should be pleased with her. She gains also the permanent continuance of the sweet fragrance which remains in the soul while the Bridegroom is present, and the bride entertains Him with the sweetness of her virtues, as it is written: “While the King was at His repose,” that is, in the soul, “my spikenard sent forth its odor.” (Song of Songs 1:11) The spikenard is the soul, which from the flowers of its virtues sends forth sweet odors to the Beloved, Who dwells within it in the union of love. It is therefore very much to be desired that every soul should pray the Holy Spirit to blow through its garden, that the divine odors of God may flow. And as this is so necessary, so blissful and profitable to the soul, the bride desires it, and prays for it, in the words of the Canticle, saying, “Arise, north wind, and come, south wind; blow through my garden, and let the aromatic spices thereof flow.” (Song of Songs 4:16) The soul prays for this, not because of the delight and bliss consequent upon it, but because of the delight it ministers to the Beloved, and because it prepares the way and announces the presence of the Son of God, Who comes to rejoice in it. Get to know the Holy Spirit.